Most companies that sell wristwatches fall into one of two categories. They’re either a company that sells watches as their main product, or they’re a fashion or clothing company that sells watches as an accessory. 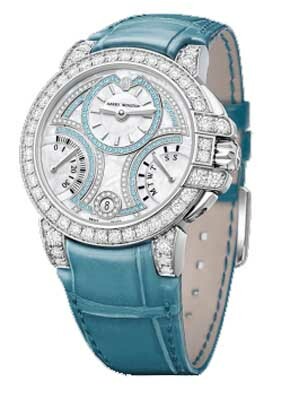 Harry Winston watches fall into a third, and unusual category. 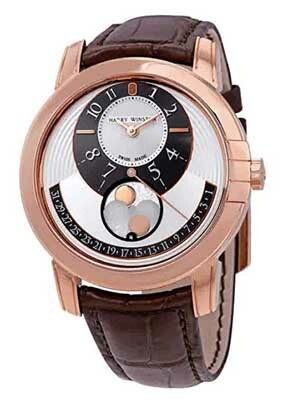 Harry Winston is a jewelry company that also makes watches. They make very nice jewelry. They also make very nice watches, and the two often blend to create watches that are loaded with features and designed like jewelry, with precious metals and lots of diamonds. Harry Winston was an American jeweler who once owned a number of the world’s largest and best-known diamonds, including the blue Hope diamond. He founded his namesake company in 1932 and the company continues to this day and is still based in the United States, though the watches are manufactured in Switzerland. 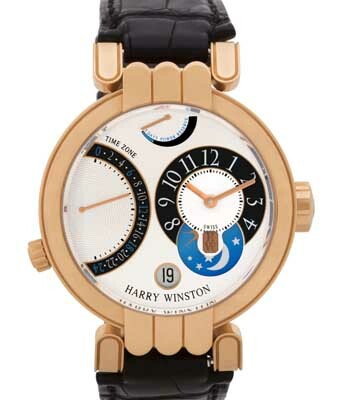 Harry Winston watches are now owned by the Swatch group. Read on for the full Harry Winston watches review. The build quality is about as good as it gets. Stainless steel, gold, rose gold, white gold, and platinum are among the materials used in creating their watch cases. The watch faces are protected by scratch-resistant sapphire crystal and many models have a transparent case back, allowing you to see the inner workings of the movement. Water resistance varies by model, but some are rated at up to 200 meters. These watches feature their own movements, designed and built in-house. The company offers quartz electronic, manually wound mechanical and automatic (self-winding) mechanical movements. Some of these movements have taken years to design and perfect, especially those with more elaborate complications. It’s easy to include features such as these in a quartz electronic watch; putting them in a mechanical device that’s small enough to fit on your wrist is quite difficult. The styling ranges from traditional to “way out there,” with lots of emphasis on the latter. You can buy a simple, time-only watch with a gold case and a diamond-studded bezel, or you can purchase one of a number of models that include various inset dials, skeleton faces, non-traditional displays, and unusual case shapes. Most of the crazier designs are in the men’s models; the women’s models are more traditional. It’s almost as though the company views women’s models as jewelry, and the men’s models as the place to show off their most unusual watchmaking tendencies. The company currently includes more than 300 different watches in their line, including their “High Jewelry Timepieces” collection, in which the watches are almost entirely covered with diamonds. There’s a lot to like, provided, of course, that you can afford them. As most of the company’s watches are elaborate mechanical devices, there will be some occasional maintenance required. The company suggests that you send your watch to them every 4-5 years to have it serviced. The watch will be cleaned, inspected for worn or damaged parts (which will be replaced), lubricated, reassembled and returned to you looking and working good as new. You should store your watch away from strong magnetic fields and keep them away from extremes of temperature. With proper care, you’ll be able to hand your working watch down to your grandchildren. The warranty offered is the industry standard of two years. They will guarantee the watch against defects in materials and craftsmanship for 24 months from the date of purchase. While these are complex mechanical devices, they are well-tested at the factory and defects are quite unlikely. As you might expect, the prices run to the high side. You’ll be hard pressed to find any models for sale for less than $10,000 or so, and on the high end, prices can run up to about $250,000. Many models are limited editions, with some pieces produced in quantities of less than 25 units, making them harder to acquire than many other luxury brands, which often produce watches in much larger quantities. Given that these watches offer several hundred different models for sale, you’ll likely be able to find one that you like, limited edition or not. 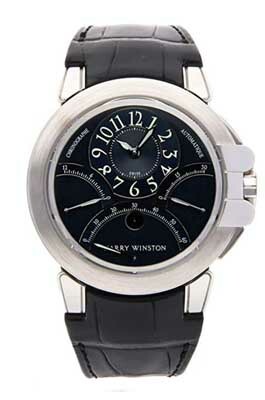 As with most luxury brands, you’ll only find Harry Winston watches for sale at company-owned stores. This allows the company to keep their brand from becoming “diluted” via third party discounters. Official stores are located in many major cities throughout the world. You can also occasionally find them for sale via online retailers, who may offer your best opportunity to buy discount Harry Winston watches. These retailers will offer their own warranty, and may offer fewer models for sale, but may provide the opportunity to save thousands of dollars. 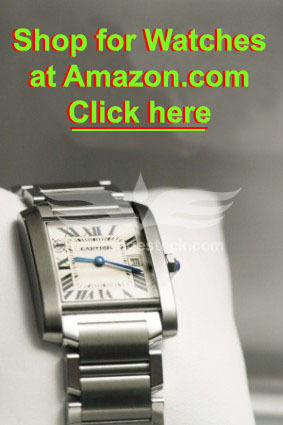 If you’re looking for a well-built, attractive and eye-catching wristwatch, this brand offers it all. You’ll get build quality, sometimes outlandish design, many choices of complications, precious metals, and lots and lots of diamonds. You’ll find hundreds of different models for men and women, with and without diamonds. Many models are limited editions, so you know you’ll be wearing something you’re not going to see on someone else’s wrist when you’re out on the town. They’re not inexpensive, and their styling isn’t going to be for everyone. But if you want a watch that is guaranteed to draw attention whenever and wherever you wear it, you can’t go wrong wearing Harry Winston watches.